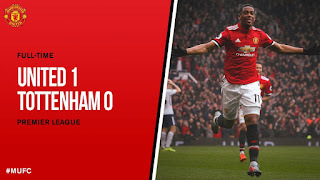 Set the scene for me... On Saturday, United continued this season's perfect record at Old Trafford in all competitions, as an Anthony Martial goal secured Victory Over Tottenham Hotspur. 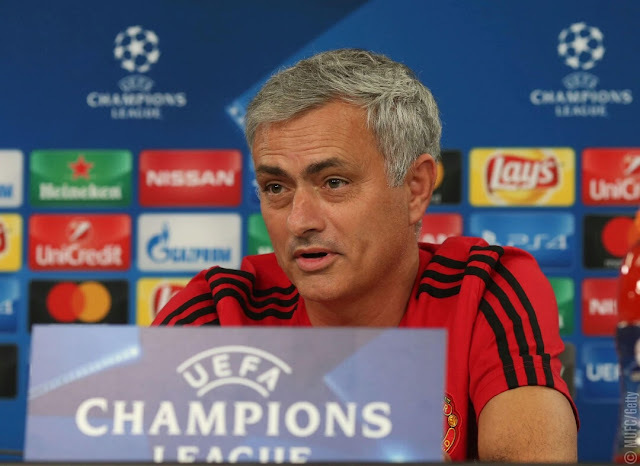 Jose Mourinho’s side are yet to concede a goal at home in the Premier League and, with wins in all three Champions League outings this season, the Reds will be full of confidence when hosting Benfica on Tuesday night. 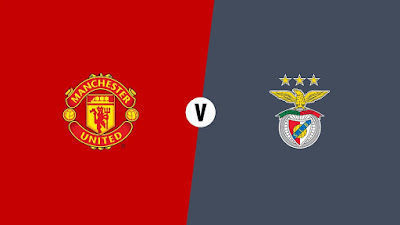 Following a 1-0 victory over the Eagles in Lisbon two weeks ago, United will qualify from Group A if they better CSKA Moscow's result at Basel, while Benfica will be desperate to end their worst ever European run of four straight defeats. 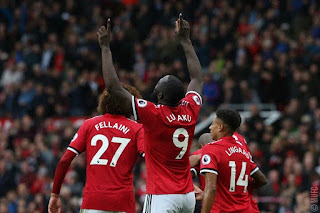 Manchester United manager Jose Mourinho has described Romelu Lukaku as "untouchable" ahead of Tuesday night’s UEFA Champions League clash with Benfica. 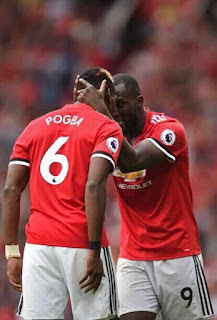 United’s no.9 has started the season in scintillating form, with 11 goals already to his name, and Mourinho feels that tally and the striker's all-round contribution to the cause mean the Belgian deserves unanimous support. The Belgium international is stuck behind Brazilian international Dani Alves in the PSG pecking order and has now set his sights on a move away in the New Year, according to the Sunday Express. 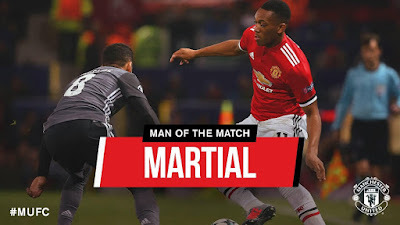 Anthony Martial claimed Manchester United's Man of the Match award on Twitter after he came off the bench to score the vital winner in the tense 1-0 win over Tottenham Hotspur at Old Trafford. 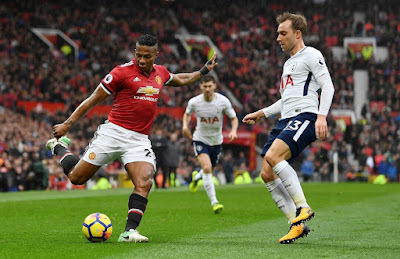 Martial replaced Marcus Rashford on 70 minutes and grabbed the winner 11 minutes later by latching on to a Romelu Lukaku flick from David De Gea's long kick to nip in behind the Spurs defence and slot past Hugo Lloris. It’s not the first time the 21-year-old has made an impact from the bench this season, after previous goals as a substitute against West Ham United, Swansea City and Everton in recent weeks. The France international scored after replacing Marcus Rashford to fire the Red Devils to a win over Mauricio Pochettino's side. 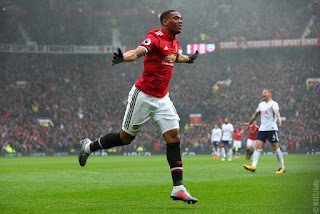 Anthony Martial hopes his late winner against Tottenham Hotspur will help convince Jose Mourinho to put him back in the Manchester United starting XI this season. 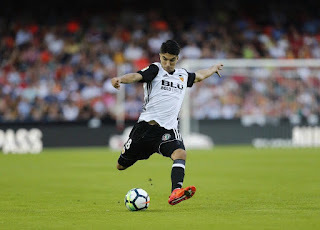 Manchester United are preparing a £30 million move for Valencia midfielder Carlos Soler, according to the Daily Mail. United are keen to complete a deal for the 20-year-old Spain Under-21 international ahead of next season, and are confident the Liga side won't hold out for the £75m buyout clause in his contract due to financial issues at the club. 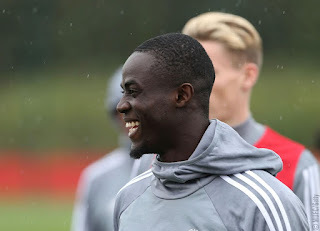 Jose Mourinho has suggested Eric Bailly could possibly return in Manchester United’s Premier League match against Tottenham Hotspur at Old Trafford on Saturday. 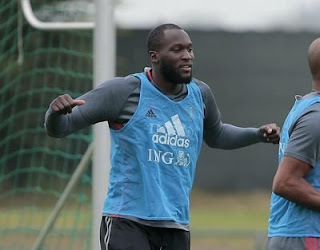 The Ivory Coast international has not featured for the Reds since the 4-1 win at CSKA Moscow in the UEFA Champions League on 27 September, but he was positively pictured taking part in Thursday's training session . Axel Tuanzebe has said the pressure he feels from working under Jose Mourinho has helped him become a "better player". 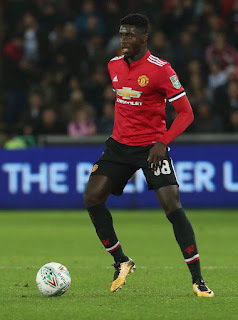 Tuanzebe made his first senior appearance of the season as part of a back three alongside Chris Smalling and Victor Lindelof against Swansea City on Tuesday night in the Carabao Cup. He played the full 90 minutes as Jesse Lingard's brace in a 2-0 win took the Reds to the quarter-finals. 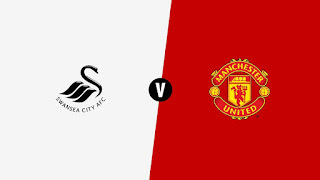 Manchester United boss Jose Mourinho had special praise for youngsters Scott McTominay and Axel Tuanzebe after handing the pair starts at Swansea City in the Carabao Cup. 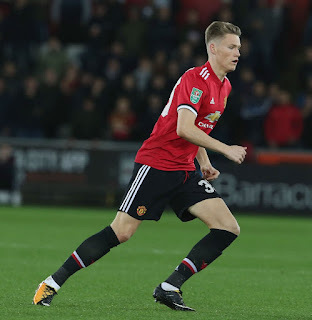 The fourth-round tie marked their first inclusion in the senior XI this season and Mourinho was particularly impressed by McTominay, who worked hard in midfield. 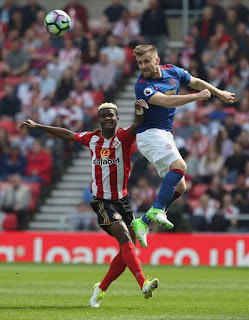 Tuanzebe, selected on the left side of a back three also containing captain Chris Smalling and Victor Lindelof, showed great maturity and was involved in the build-up for Jesse Lingard's second goal during the 2-0 triumph. "The kids are always the kids," said the manager on MUTV . "When they play, it's nice and it's good. When they perform well, it's even better. I think they both had good performances. Real Madrid star Cristiano Ronaldo has been named Best FIFA Men’s Player of 2016-17. 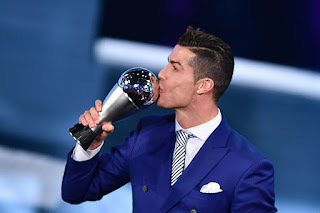 Ronaldo takes home the award for the second year in a row, as he managed to defeat competition from fellow finalists Neymar and Lionel Messi at the awards ceremony in LondonThe 32-year-old turned in another stunning campaign for Madrid in 2016-17 as he led the Blancos to a La Liga and Champions League double, including a brace in the Champions League final against Juventus. Setting the scene... The Reds continue the defence of our League Cup crown on Tuesday night, as we travel to the Liberty Stadium to take on Swansea City. 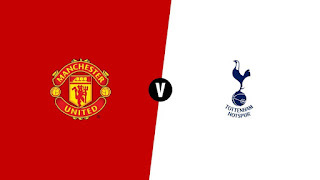 The match will also provide United with a welcome opportunity to put things right after the disappointing defeat to Huddersfield Town on Saturday. 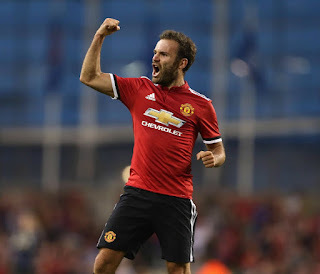 However, United should be high on confidence going into the Carabao Cup fourth-round clash, having cruised past Burton Albion to reach this stage. Meanwhile, 2013 League Cup champions Swansea, beat Reading back in September to set up this encounter. 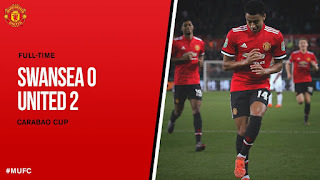 Man Utd player went off injured after barely 20 minutes of the 2-1 defeat vs Huddersfield but it may not be as bad as feared. 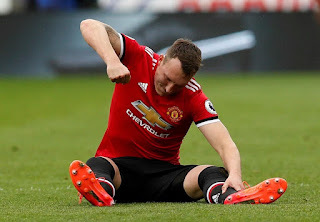 Phil Jones appeared in reasonable spirits and walked unaided as he made his way out of the John Smith's Stadium following Manchester United's shock defeat to Huddersfield. Writing to you after a defeat is rather unusual this season, that’s the truth. We were on a very positive run of results but, this weekend, we didn’t play a good game and we came home with no points. Manchester United manager Jose Mourinho has provided an update on the fitness of Eric Bailly. 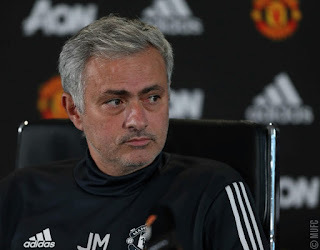 In Friday's pre-match press conference Mourinho previewed our first trip to Huddersfield in 46 years, and he was also asked a string of questions surrounding the Reds' current injury situation. The Swede's first chance to impress in the Premier League ended horrendously, with United suffering a costly 2-1 loss at Huddersfield. 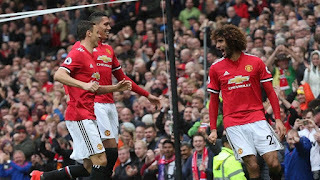 For Huddersfield Town it was one of the most momentous results in club history, but Manchester United and Victor Lindelof will want to quickly forget Saturday’s 2-1 loss in West Yorkshire as the Swede endured a nightmare afternoon which leaves his side five points behind neighbours City. 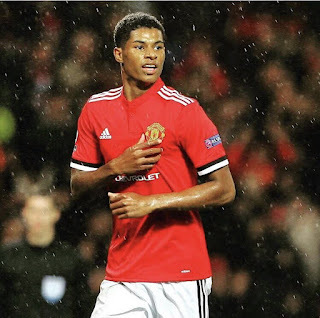 Jose Mourinho has confirmed Marcus Rashford is available for Manchester United’s Premier League clash at Huddersfield Town on Saturday afternoon, after the Academy graduate limped down the tunnel following his match-winning goal against Benfica in midweek. 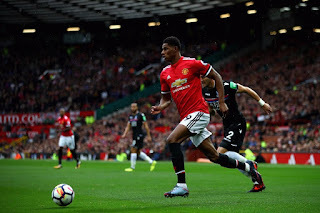 Rashford struck the only goal of the game at Estadio da Luz in Portugal, with an in-swinging free-kick that was carried into the net by young goalkeeper Mile Svilar. 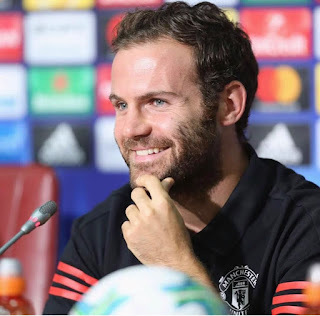 The Red Devils have been accused of being too defensive away from home, but a club legend believes their manager has played the hand he has been dealt. Jose Mourinho and Manchester United have been “really entertaining” when in a position to play to their strengths, says Peter Schmeichel. 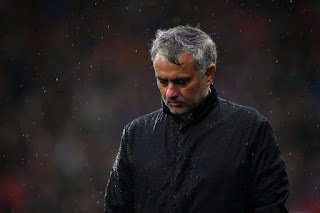 The Red Devils boss has responded to rumours suggesting that he could soon quit Old Trafford and inherit the managerial reins at Parc des Princes. 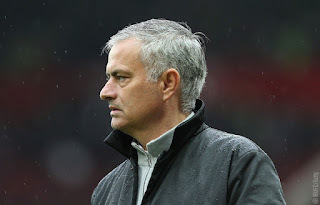 Jose Mourinho insists he is neither on the verge of signing a new five-year Manchester United contract nor ready to join Paris Saint-Germain. 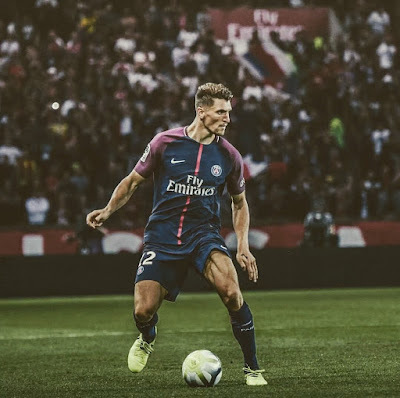 The Sweden international defender has endured a tough time in England since making a big-money move from Portugal, but is being tipped to come good. 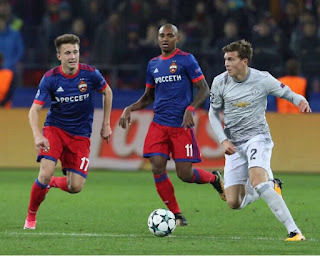 Victor Lindelof is a “very high quality player” and will have a bright future at Manchester United under Jose Mourinho, says Rui Vitoria. Jose Mourinho's men have matched two other Red Devils sides with their dull scoreless draw at Anfield on Saturday. 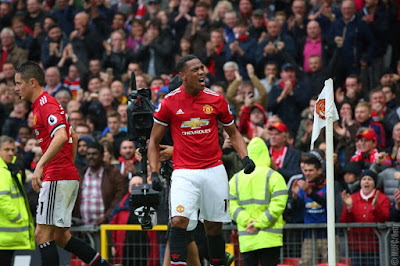 Manchester United didn't set the world alight at Anfield on Saturday, but they did manage to equal the club's best-ever Premier League start after eight games. 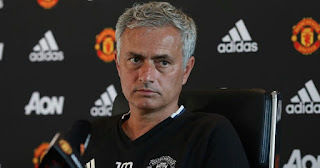 MAN UTD BOSS SAYS LIVERPOOL CLASH IS "JUST A MATCH"
Manchester United manager Jose Mourinho insists he is treating Saturday's visit to Liverpool the same as any other Premier League fixture. The Anfield date is one that is always circled in the club's calendar and the intense rivalry between the sides ensures it is often a tense affair. According to the former Red Devils defender, the teenage striker is at the right place to become one of football's brightest stars. 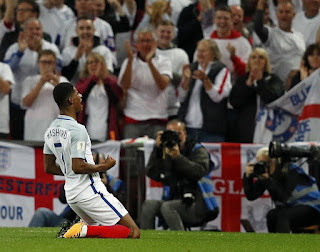 Rio Ferdinand believes Marcus Rashford is on track to emerge as one of the world's best footballers, but needs to catch up to his contemporaries. The Red Devils have made a promising start to the 2017-18 season, with a useful habit having been picked up of netting in the closing stages of games. 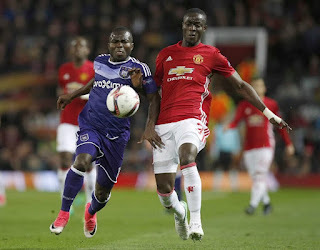 Eric Bailly believes 2017-18 can be a positive season for Manchester United as late goals will “lead us to the Premier League title”. 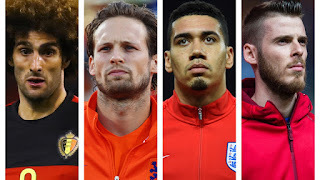 The Red Devils forward impressed against Slovenia and is being tipped to follow in the footsteps of some iconic figures when moving to a central role. Marcus Rashford can be England’s answer to Cristiano Ronaldo by being transformed from a winger to a striker, says Martin Keown. 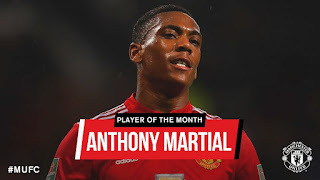 Anthony Martial has been named Manchester United's Player of the Month after a series of dazzling displays in September. 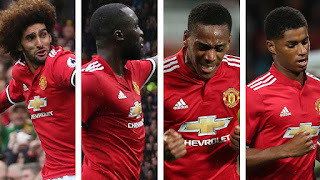 Such was the impressive nature of United's attacking exploits during a busy and successful month, three forwards were nominated among the four contenders for the latest star player award. The Portuguese manager has overseen an impressive start to the new campaign at Old Trafford and has been honoured in his hometown of Setubal. 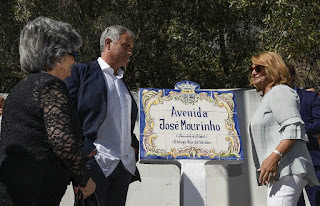 Manchester United boss Jose Mourinho has had a street named after him in his native Portugal. 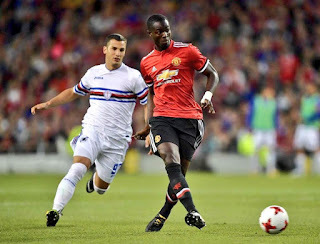 The Italian full-back insists that he remains happy at Old Trafford under Jose Mourinho but would not rule out returning to Serie A in the future. 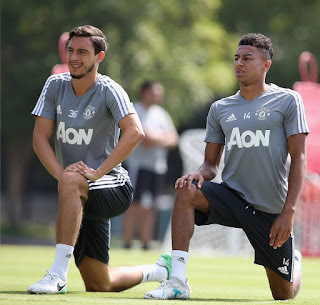 Matteo Darmian insists he has no regrets over joining Manchester United despite a lack of regular first-team minutes. 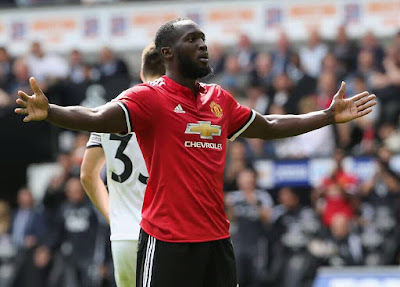 Manchester United striker Romelu Lukaku has pleaded not guilty after he was arrested in the United States earlier this year following a noise complaint. The 24-year-old was given a "misdemeanour citation" in July after police responded to five other noise complaints at a Beverly Hills house. 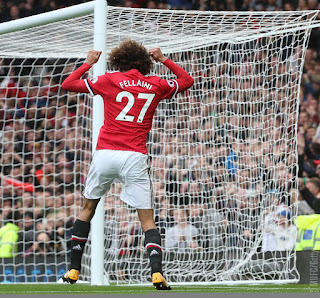 Nemanja Matic believes Manchester United have enough “great players” to cope without Paul Pogba, with Marouane Fellaini shining so far. Marcus Rashford has revealed how Manchester United are helping him stay grounded after his extraordinary rise into one of the most exciting young players in European football. Still only 19, the United forward has established himself as a first-team regular at Old Trafford, scoring 12 Premier League goals in his 50 appearances to date.